The apartment with private entrance and garden with gazebo reserved exclusively consists of 2 triple in the attic, each with sea view terrace and bathroom between them, one large quad on the main floor, with very spacious bathroom plus a kitchen. Each room has air conditioning and sea view. Guests can make use of the remaining park of 10. 000 square meters and an area with sun loungers for sunbathing. On request you can have the chef who, upon your return from the sea, you will find delicious dishes prepared. 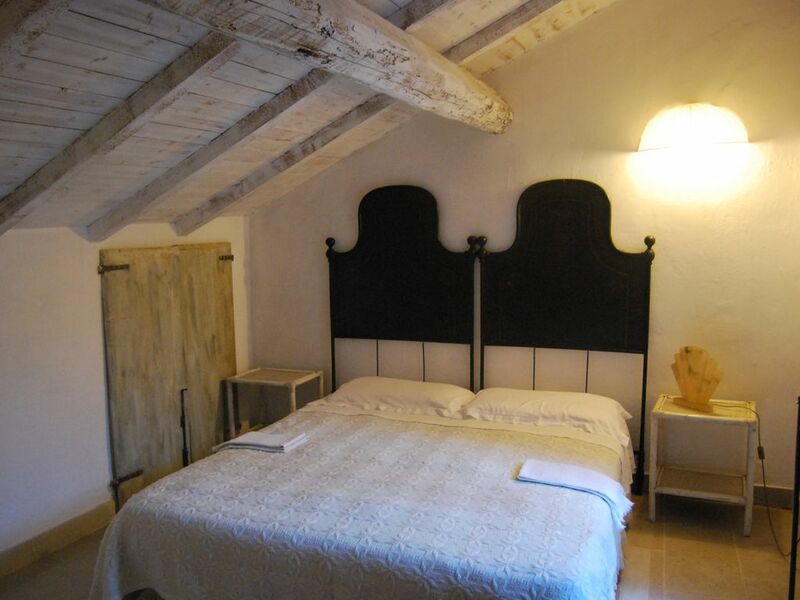 The HOUSE of LAURI also bed and breakfast, 900 m from the sea, it is a charming eighteenth-century mansion set in the heart of the Park of Gargano. The house is exclusively furnished with antique furniture and offers available to customers only supplied towels, hand woven on ancient wooden looms. It was published on several prestigious magazines, like 'Ville & Casali', 'Case & Country', 'Villas & Gardens'. And 'situated on a hill facing the TREMITI 2 km from the famous RODI GARGANICO and 10 km from the picturesque PESCHICI and UMBRA FOREST. In addition to B & B you can rent it all or rent the apartment the area more suited to your needs and completely independent. The price in this case varies depending on the season and number of guests. It is equipped with every comfort: laundry service, clothesline, ironing board, oven, fridge, TV, barbecue, parking and possibility to book dinners. Payment will be made on arrival at your arrival. Nearby, markets, marina, discos, tennis and horse riding. Il Casale is an ancient country noble farmhouse, an ideal place to get away from everything and everyone and to savor the perfumes, the silence, the slow rhythms and the sunsets, in absolute peace. At the top of a hill, the house can only be reached by a municipal road, which was an old mule track, typical of the Gargano, among orange groves and olive groves. Nothing more suitable to enjoy the peace of the countryside, the priceless view of the sea and the Tremiti islands and the magic of a lit fireplace. Perdipiù, nearby, will be possible to visit places of landscape excellence such as the Umbra Forest, historical as well as famous villages and religious such as the Santuario di Monte Sant'Angelo. Très belle maison agencée avec goût. Pièces très spacieuses et agréables à vivre. Accès à la maison en voiture pittoresque. Cadre très naturel sur plusieurs paliers avec des arbres et une grande terrasse. Un petit bémol : la machine à laver n'est pas dans la location mais la propriétaire se propose pour vous rendre ce service, ce qui peut-être dérangeant. mild climate, crystal clear sea and kitchen are three elements which led the blog "Sentimeter" Corriere della Sera to indicate how the happiest Italian Puglia region of Italy.